Beer News | G.K. Skaggs, Inc.
G.K. Skaggs, Inc. Wishes you a Happy New Year! Ginebra San Miguel is the world’s largest selling gin. First produced in 1834, It is an 80 proof Dutch-type gin made from selected spirits and botanical extracts whose predominant flavor comes from juniper berries. “World’s best selling gin is Ginebra San Miguel”, Hamish Smith, Editor of The World’s 50 Best Bars, Deputy Editor of Drinks International Magazine and Editor of http://drinksint.com, January 3, 2014. The largest selling gin in the world in 2012 was Philippine gin brand Ginebra San Miguel, with sales of 23.8 million 9-litre cases, according to The Millionaires’ Club 2013. This was approximately six times the volume sales of the next best-selling gin brand, Diageo’s Gordon’s, which sold 3.9m cases. Gordon’s declined 9% between 2011-2012. Diageo’s Tanqueray sold 2m cases while Carew’s Dry from India, also a Diageo brand through United Spirits, sold 1.2m cases. The largest selling gin in the world in 2012 was Philippine gin brand Ginebra San Miguel, with sales of 23.8 million 9-litre cases, according to The Millionaires’ Club 2013. Ginebra San Miguel, Inc. (GSMI) grew out of a family-owned Spanish era distillery which, in 1834, introduced what was to become the company’s flagship brand, the first ever Philippine gin and the largest selling in the world – Ginebra San Miguel. GSMI has since evolved from being a solely gin-driven business into a progressive and dynamic organization whose strength lies in the proud heritage of its flagship product, its extensive experience in alcohol production and distribution, and the never-say-die spirit of its workforce. Currently Interviewing New Distributors Nationwide. Contact Ryan Heilig @ rheilig@gkskaggs.com for Inquiries. Maloney’s Irish Country Cream is probably the best tasting wine based Irish Country Cream on the market! It’s a smooth delicious blend of fresh Irish dairy cream and white wine with natural chocolate and vanilla flavours. Maloney’s is a wine based proposition at 13.9% alc/vol which, in many markets, qualifies for very low excise duties. A superb taste and smooth finish. Our unique blending process delivers an unrivalled smooth blend finish. Wine Based – No spirits license or tax structure is required. Cielo E Terra – The History of cielo dates back to 1908, when it originated from the passion of wine from a family of wine growers in the Veneto Region. Cielo has taken root in over 3,000 hectares of vineyards cultivated but the vine – growers of the Candine dei Colli Berici, who apply their modern know how and ancient wisdom. Cielo is now one of the leading brands of Italy and we are pleased to present the following selection. Casa Defrà wines are the result of a balanced relation between the vine grower and the Berici hills, with the application of modern techniques and the respect of ancient traditions and natural agriculture rules. The Prosecco is a fizzante, semi-sparkling wine flowing with freshness. Its bright straw yellow color has a bouquet that is delicate and fine. Its taste is fruity and is an excellent aperitif or paired with light meals. Serve at a chilled 48 °F. 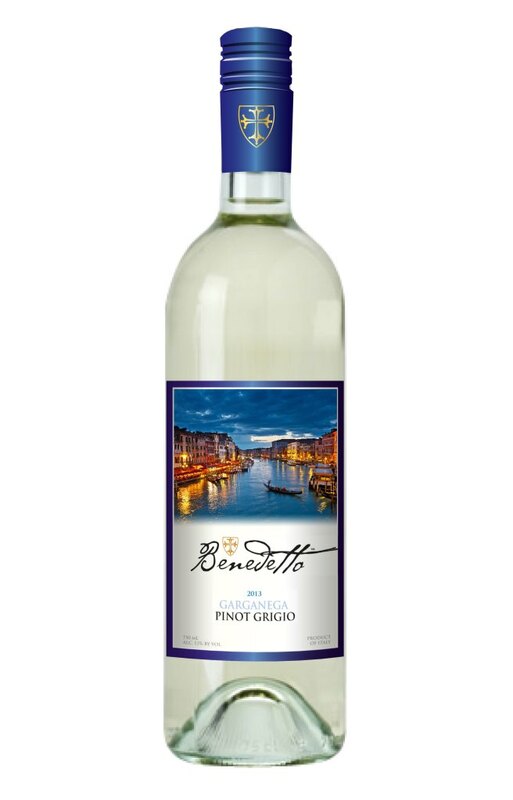 The Pinot Grigio is a complex citrine color and has a bouquet persistent with notes of fresh pineapple and bread crust. Its taste is dry and sapid, with an aftertaste of sagebrush flowers that linger persistently. Serve with delicate first courses and second courses that include white meat and fish. 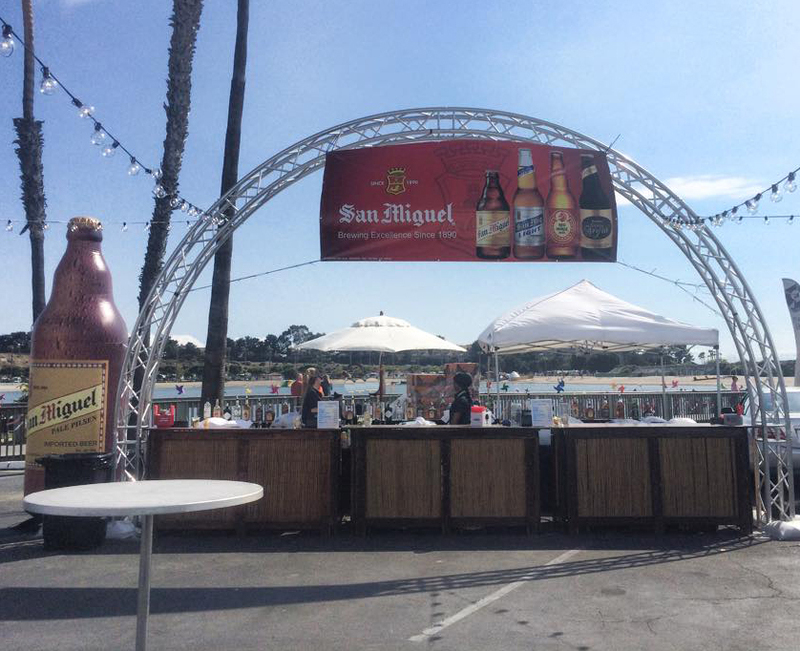 San Miguel Celebrates their 125 Year Anniversary! San Miguel is proud to celebrate their 125th anniversary and will be rolling out a global promotion this year to celebrate this milestone. G.K. Skaggs, Inc. will be implementing this messaging along with new packaging in the US market throughout 2015. 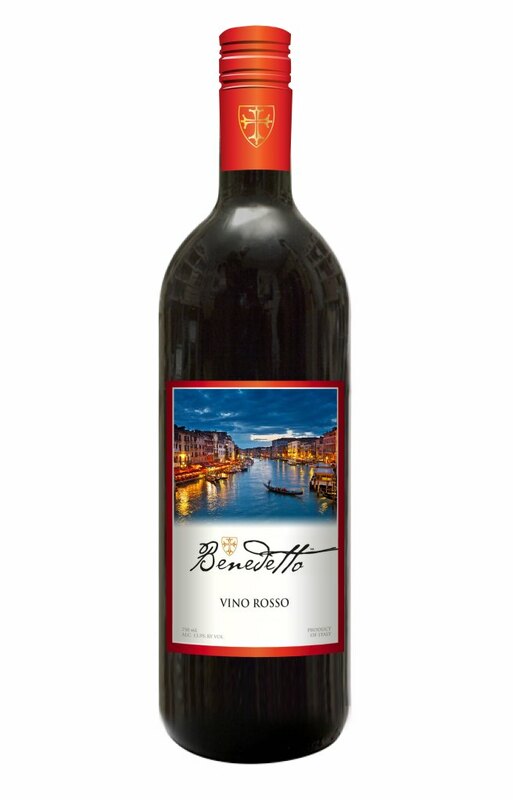 The Vino Rosso pours a brilliant ruby color and has a distinctive bouquet and dry yet rounded flavor. It is full bodied, dry, simple and enjoyable. Pair this radiant wine with pasta, spicy dishes, roast meats and ripe cheeses. The Bianco pours a straw yellow color and has a mild fragrance which is accompanied by a remarkable complexity of aromas. It is light to medium bodied with fruity flavors of pears and apples with hints of melon and mineral. Noble, with a strong texture and admirably well-rounded, this wine has just a touch of sweetness and mouthwatering freshness. Serving suggestions include fish based appetizers, risotto, white meats and fish entrees. 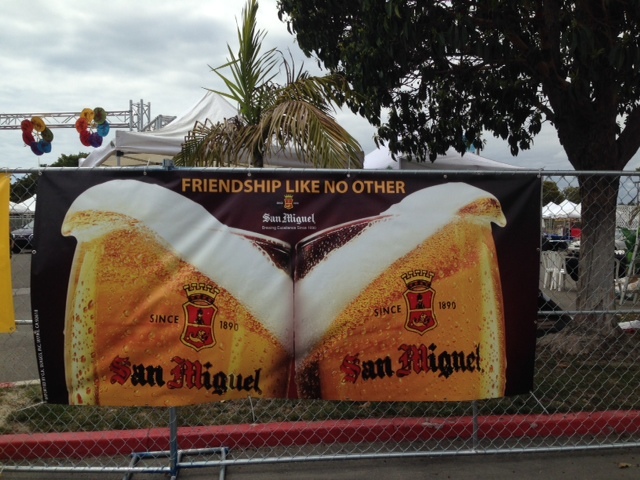 Seafood City is well prepared for Super Bowl Sunday with 7 pallets of San Miguel beer! 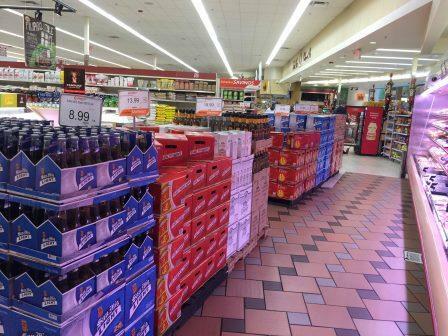 Don’t forget to stock up on one of the world’s favorite beers. Contact G.K. Skaggs, Inc. to place your orders.